Throughout the year, special events offer a fun way to make a thoughtful gift to Texas Children’s. Events include those events hosted by the hospital and community events, hosted by third-party organizations, that benefit Texas Children’s. Join MainStreet America for their 7thAnnual Gala benefiting The Jan and Dan Duncan Neurological Research Institute at Texas Children’s Hospital. Join us for Through the Lens celebrating 20 years of the Baylor College of Medicine International Pediatric AIDS Initiative (BIPAI) at Texas Children's Hospital. Join us for the Spirit of the Woods gala at the Woodlands Waterway Marriott. 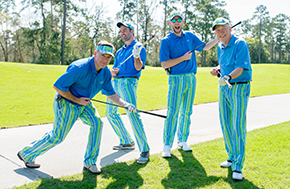 The Bad Pants Open brings out the community’s most stylish golfers with the biggest hearts year after year. All proceeds benefit Texas Children's Newborn Center. A luncheon that benefits Texas Children’s Cancer Center and honors our champions -- the cancer survivors, their parents and their caregivers, and the researchers and doctors. 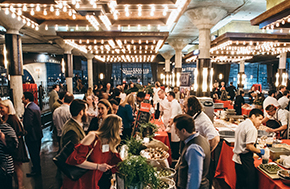 Support Texas Children's Food Allergy Program by attending this event at the industrial chic Astorian loft featuring food prepared by Houston's top chefs! Join us for dinner and discussion with a different "legend" each year at An Evening with a Legend benefiting Texas Children's Cancer Center. Learn more about Texas Children's expanding its services to treat more children at The Forum Luncheon. 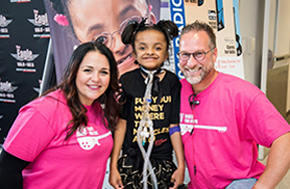 Attend a community events held by different generous and dedicated individuals/groups benefiting Texas Children's like Chevron Houston Marathon, Radiothon, and more!